We have copious experience with the YOUTH in Action program. By the end of the year 2014 we hosted 15 international youth exchanges, took part in 6 exchanges abroad, carried out 5 projects of youth initiatives. Since September 2003 we have carried out 33 EVS hosting projects and 2 projects sending EVS volunteers abroad. 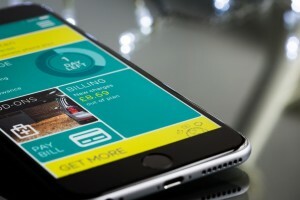 We believe all of these projects were rather successful and several were even presented in some publications as examples of good practice and nominated for some European rewards. According to our previous experience the presence of EVS volunteers makes a real difference in the group of young people, who are making the Youth TV magazine. The EVS volunteers are from different cultural surroundings therefore they bring different views of (to us) everyday things, new problems and questions are being addressed to and the dynamics of the group changes. All of them gain experience of working in international environment. The young acquire and develop capability of recognizing and consider tiny differences, which is very important. We are certain EVS volunteers contribute to variety of group work. All of the participants have the possibility to meet new people and new cultures, which enlarges the tolerance and prevents the prejudice. Hosting organisation was founded in 1995 by a group of young people, who were tired of the apathy of cultural events for youngsters and general insensitivity for distress of other people. In the last period we have been giving special attention to projects in the field of media education, film, video and multimedia. We are performing different activities on local, national, and international level with the aim to stimulate active participation of young people through different forms of media. 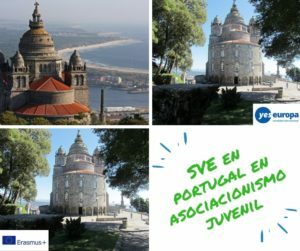 One of our main activities is our regular Youth TV Magazine, in which youngsters shoot and publish their own different documentaries and TV reportages. These feature different youth projects, cultural events, some young artists and activists. In this way we want to inform other youngsters and the wider population, because themes like these are mostly ignored in “mainstream” media. That’s why it is very important that articles, beside public projections in youth clubs and centres, are shown on local TV stations. We support young authors to use different approaches, which differs us from “mainstream” television. All through the year we organise different courses for youngsters to work in media. These are different weekend workshops and summer camps. Every year we organise a film festival, with the purpose of promoting films of young authors. We encourage the development of activities of this kind with the projections of films by young authors and performing workshops in a network of youth centres and clubs all over Slovenia. We also participate in projects with different organisations from abroad. In Krško we set up a video studio. Every day we open the doors for young creators from different parts of Slovenia (and abroad). We are pioneers in this field of work in Slovenia, through which we assured ourselves recognition and reputation in the past. At the moment it has three employees and more than 20 volunteers who, throughout the year, actively participate in our projects. More information on our web page. Krško has 12.000 inhabitants. It is located in southeast Slovenia, close to the Croatian border. It is 100 km away from Ljubljana and 35 km from Zagreb. It has very good traffic connections with both, trains to Ljubljana run almost every hour throughout the day. Geographically Krško is in the Sava river valley, which widens into the Krško plane, stretching to the Krka river in the south. It has enabled developement of agriculture and tourism. The area features some castles, Karstic caves, waterfalls and forests. We are also “famous” for a nuclear power plant. The economic situation in Krško is slowly improving, after the brake down of some giant factories in the beginning of precedent decade. One of the big problems is still the migration of educated youngsters into bigger towns. However, youngsters are still deserted and left to their own inventiveness and offer of the local bars when it comes to spending their free. Most of the young people are studying in Ljubljana or Maribor during the week. There are also a Secondary technical school and Public University in Krško, which sometimes offer some education on higher levels. Volunteers live in a rented appartments. There are four single rooms and a bathroom with a toilet. Kitchen is fully fitted. Neighbours are in close proximity, so noise levels after 10 PM have to be taken into consideration. House is equipped with a central heating. Volunteers agree between themselves about cleaning of the house. A group of young people is active in the Youth TV Magazine project. They want to improve the quality of informing young people and contribute to development of youth culture by providing different journalistic reports. We introduce different youth projects, programs, cultural events, organisations, individual young creators, activists to broader public and other young people and keep them informed. This is how we want to present different views and opinions of the young people, especially about the things that matter to them. EVS volunteers will participate actively in media projects with youngsters, who are producing Youth TV magazine for the local TV. They will also plan and carry out video production and participate in different media projects with other young people. In the beginning of the project EVS volunteers will be trained for the work in media and video and film production. They will gain knowledge about equipment and computer tools, which are used. Their mentor and other colleagues will offer support and help with all their tasks. EVS volunteers are included in courses and seminars, organised by DZMP throughout the year. If these seminars are not in English, DZMP ensures suitable translation. Besides working on Youth TV Magazine, EVS volunteers will carry out video workshops with the children and the young, help them develop different ideas and introduce them into different media projects. They will carry out tasks from different technical fields of media work, organise and arrange films from young authors into archives. Volunteers are fullfilling applications and sending films made by young authors in Luksuz produkcija to different film festivals around the globe. 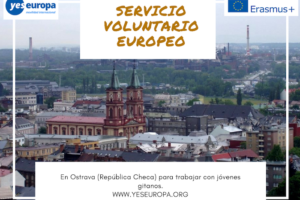 We expect that EVS volunteers, in cooperation with other young people from the area, create two TV reports a month (report, short film, documentary film…). These films will be broadcasted regularly in montly Youth TV Magazine. It is very important, that opinions, ideas and views between the EVS volunteers and the young, who are also participating, are exchanged in this process. Whether they make short films together or the young from the local environment are the theme – report about local theatre group, individual young athlete, band and so on… This is the way for EVS volunteers to actively cooperate with the young and they all interact with each other, which has positive consequences for all involved. This mutual cooperation also ensures quicker integration of EVS volunteers, in process of which a volunteer obtains adequate support from the mentor, other members of production group and the Society. Local public environment is also influenced by the reports we broadcast. When watching television and public projections, the viewers find out about EVS volunteers’ projects, their views and opinions. In this way they, along with other young people, actively participate in the society. These reports introduce themes, which are often overlooked by the mainstream media or are in the media shadow respectively. EVS volunteers in DZMP are encouraged to reveal their critical views about society and supported in their ways of expressing in public. With these TV reports we try to propagate the European values like respecting cultural differences, honouring the diversity, intercultural dialogue, fighting xenophobia and racism, ensuring equal opportunities for all and similar. 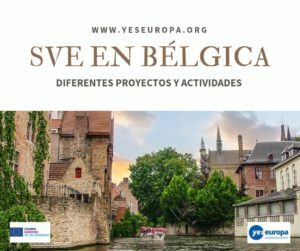 We inform the young about their possibilities in united Europe, about opportunities, offered by different European programs and projects and about the development of European citizenship. This is a multidisciplinary project, based on learning by doing and active participation of the EVS volunteers in group work. 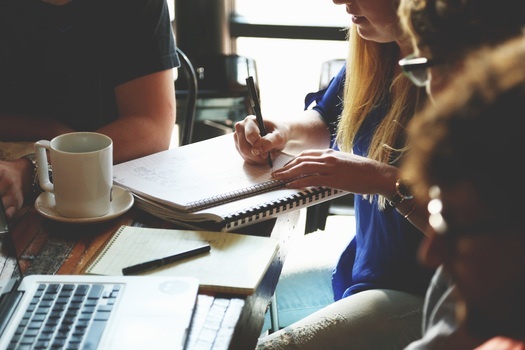 By debating with others and working on different projects, the EVS volunteers will develop positive relations towards active participation and a sense for responsible citizenship. Participating in variety of activities they will also improve and perfect some of the key skills, which are a foundation for our further work and learning. Progress and cooperation with other DZMP youth projects are wished – for and welcome. 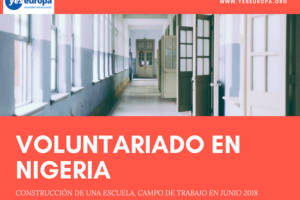 Therefore EVS volunteers will take part in projects like: different workshops, concerts, performances, film festival, setting up web pages, summer camps… Volunteers will actively participate in different groups, which will work on various tasks in several projects. Their role will also depend on their own interests. They will cooperate with different partners in other projects. Volunteers have a lot of leisure time and opportunities to make their own media project. Along with highly skilled co-workers they can always use shooting and editing equipment and studio. We expect that EVS volunteers are active in DZMP projects 35 hours a week, 5 to 8 hours a day (depending on the project). We usually have a meeting with all co-workers every Tuesday. Schedules can be adjusted, depending on the time available by all the participants and are coordinated accordingly. The working schedule also depends on the projects themselves (for example filming certain show, concert or performance). Participation in activities can also be different. It mostly depends on the volunteer, their knowledge and wishes. Above all the participation in some individual projects can be higher if he/she shows will and interest. Throughout the year there are 50 – 100 young people involved in creating Youth TV Magazine. Volunteers’ mentors are liable for their integration in local environment, but we do try to introduce and bond the volunteers with local young people, especially those with similar interests, as they can all then do something together in their leisure. 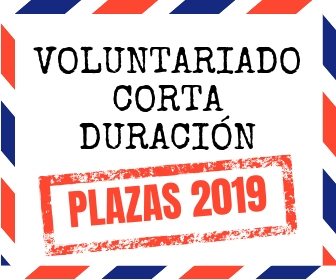 We realize that EVS volunteers have tougher time in smaller towns, because there is no big and diverse offer of leisure activities for the young, we believe integration in local environment is therefore even more important than in bigger cities. One important area of integration and insight into culture is the language. We provide the EVS volunteers with Slovenian lessons, which we organise ourselves, considering there are no such educational programs in Krško. In adition the EVS volunteers will participate in all obligatory trainings, which are organised by National agency respectively. Our program is available for young people between 18 and 30 years of age, we strive after self iniciative people, motivated for carrying out their individual projects, people who are responsible and straightforward. We are prepared to cooperate with all sending organizations. 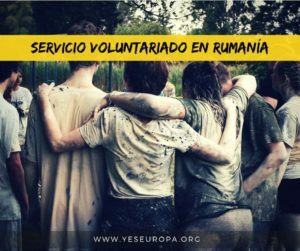 We expect a high level of communication skills, creativity, personal initiative and adaptation from the volunteer, but most importantly an open-minded relation to other people and different cultures. The volunteer should have at least basic knowledge of English language. Main selection criteria are interest in work with young people, media, film and video work and enthusiasm for different everyday life. Previous knowledge of video, photography, media or computers is not essential, but we do focus on candidates, who are truly interested in these kinds of proficiency and skills, because if they are not, serious problems can be encountered. Unfortunatelly, if situations like these would happen, we can not offer many alternatives to the EVS volunteers in regular activities of DZMP. We daily come across these spheres of work in majority of our activities. We choose EVS volunteers according to their application forms, which include motivation cover letter and a CV. We also ask them additional questions and carry out the interviews. Final selection is made by close team of DZMP workers. We mainly take into consideration the criteria, described in the first paragraph. In this project we foresee the participation of adults, older than 18 years. However, we will focus on some measures for preventing dangerous situations, emphasizing health and safety at work. EVS volunteers do not come into close contact with dangerous goods and objects, nevertheless we will acquaint them with basic dangers in working with electrical devices and specifical safety measures concerning sensitive electronical devices – this is also to prevent damaging this equipment. Krško is a relatively safe town; however basic safety measures concerning personal safety and safety of the property are always welcome. EVS volunteers meet and work with minors, therefore basic legal requirements and regulations are explained to them. Regarding work in the media, minors will need to acquire parents’ consent for being filmed. When coming to Krško, EVS volunteers receive Slovenian SIM card with some important telephone numbers and colleagues’ contact numbers. They can use these contact details in different situations. 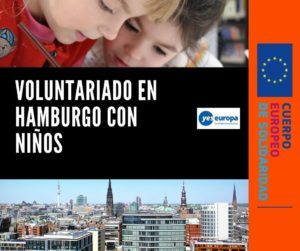 We will try to monitor the situation, work climate and mutual relations between the EVS volunteers and the other colleagues to prevent crises and major conflicts. We will achieve this with meetings of working groups, individual interviews and conversations with volunteers and intermediate evaluations. We will try to get as much feed back as possible from the volunteers themselves. Taking their wishes and needs into consideration we will do our best to adapt according to our capabilities. But above all we will try to communicate openly and straightforwardly about any possible problems, trying to prevent them from happening. EVS volunteer has a mentor, who is liable for their personal support and integration into local environment. Beside them there are many young people with different experience, who take part in supporting EVS volunteers – being spontaneously or intentionally. We do realize some people bond easily with certain individuals and with the others they just do not. That is why we try to make their volunteer life easier with organising their work with people they get along with.